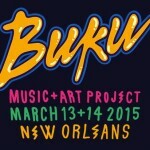 BUKU Music + Art Project has yet to disappoint, and we fall deeper in love with it every year. 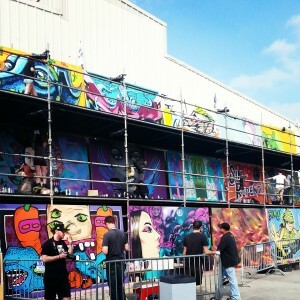 The festival brings together art in many facets, from music to dance to graffiti and everything in between. The unofficial theme of the festival is always Color. From the art to the people to the music and even the city itself, color is a common theme in New Orleans as well as BUKU. The colors were bright, vibrant, and full of love and acceptance at this year’s festival. At BUKU, the music and the art go hand in hand. Neither of them takes the driver’s seat at this festival, and we love it. The live art projects continue throughout the festival as usual. Attendees can both watch the magic happen, then put in a bid to take the masterpiece home at the end of the festival. The artists are benefited and the buyer has a special piece of BUKU to take home with them. But these 2D projects aren’t all the art to see at BUKU. The art goes beyond what attendees can purchase. The drum cart and dance cart at BUKU provide portable positive vibes as they roll around the festival grounds bringing joy to those with a moment to stop and see the talent. The BUKU Breakers bring the art of dance to the festival as they cart around a boombox and a breakdance pad for impromptu dance battles and showcases. A string instrument showcase also brings a classical aspect to the festival, slowing things down and mesmerizing the audience as they stroll by. The art at BUKU isn’t just an aspect of the festival, it is in full effect and a solid 60% of what the festival has to offer. Attendees can’t miss the beauty in everything they see. 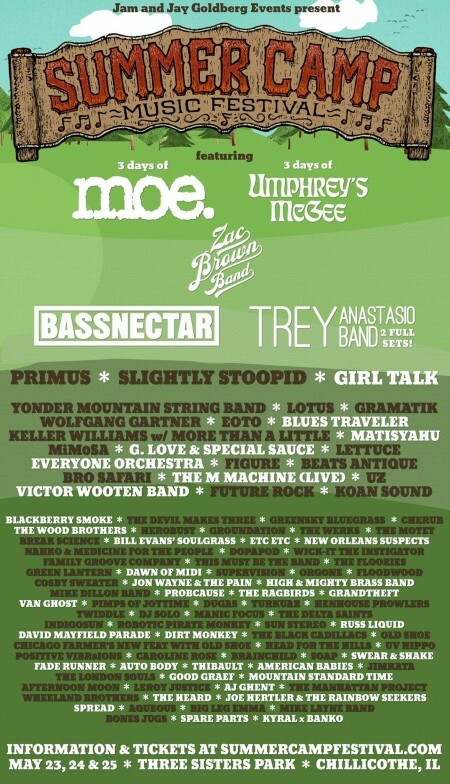 BUKU got a bit of an upgrade yet again this year. The stages were pushed back to make room for more people, and the Wharf became its own main stage in itself as several artists had people clamoring to see them at the expanded stage. The Float Den shifted around, with the Mardi Gras floats no longer in the distance but lined up and on display. The change took the creepy factor out of the stage, and people were still able to get a proper light show in the daytime. The Float Den yet again took on the responsibility of the Rage Den, but this time it shared the spotlight with The Wharf. The Power Plant Stage kept its spot from last year, with the Garden District’s power plant looming in the background. The Switchyard Stage took the place of the Back Alley of previous years, but with a mix of local and international acts. The VIP Stage also took on this role, with both national and local acts showcasing their talents to an intimate crowd. The Ballroom Stage housed most of the live bands and hip-hop artists. The indoor ballroom provided a chill spot for attendees to relax and escape the sun as well as an intimate concert experience usually not seen at a music festival. 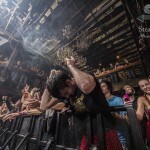 All stage upgrades were necessary and allowed BUKU to take on more attendees and spread the love. The music at BUKU is what brought many people to the festival, and this year’s lineup did not disappoint. Some honorable mentions at the festival include Toro Y Moi at the Power Plant, who made lasting fans out of many. Yaeji whose one-woman show melted hearts and faces as she combined live vocals and dance with heavy hitting house beats. Fisher wore the crown of bass royalty at the Wharf on Friday, bringing people from every corner of the festival to dance. Mayday Parade brought several emo lovers to tears with nostalgia and a touch of something new. Lana Del Rey performed a quiet and expectedly awkward set at the Power Plant that still pleased her die-hard fans (at least she looked amazing doing it). Claude VonStroke and RL Grime created some dissonance as fans had to choose between the two powerhouses, yet both brought their A-game and did not disappoint. Saturday became the day of scheduling conflicts as the lineup was stacked with likeminded artists and huge names. Papadosio came out of the gates running with an amazing and jam-filled set, while at the Wharf. Whipped Cream set the pace for the Wharf stage with a powerful set that proves women are the new faces of headbanging. GRiZ owned his sunset slot at the Power Plant, and it was impossible not to feel the love, acceptance, and beauty in those moments. Getter created an experience with his Visceral set, giving Oliver Tree a shout out as they also had the same time slot. G Jones and A$AP Rocky battled for fans as A$AP was delayed due to technical difficulties at the Power Plant. These difficulties made A$AP refuse to cut his set short, delaying Kasbo at the Switchyard Stage. It was a bit selfish. Louis the Child and The Black Madonna brought the festival to a close, with Louis the Child sending us off with fireworks. Every artist at the festival gave 1000% and it was an experience that attendees are bound to talk about for weeks. The main theme that comes to mind with BUKU is color. The festival itself is covered in color. The live artwork is full of color, the lights on the stages are full of color, and the floats at the Float den are full of color. But while the color at the festival is literal, it also extends beyond lights and pigments. The people and the atmosphere at BUKU are also full of color. The diversity in the lineup is obvious, as well as those in attendance. New Orleans is a colorful city in its own life and personality, Bourbon Street and its beads but also the architecture and colorful buildings all over the city. The color at BUKU comes through even at each sunset over the graffiti-covered power plant. The color in beauty, diversity, and culture all come together at BUKU and it is why we continue to return to this festival each year.